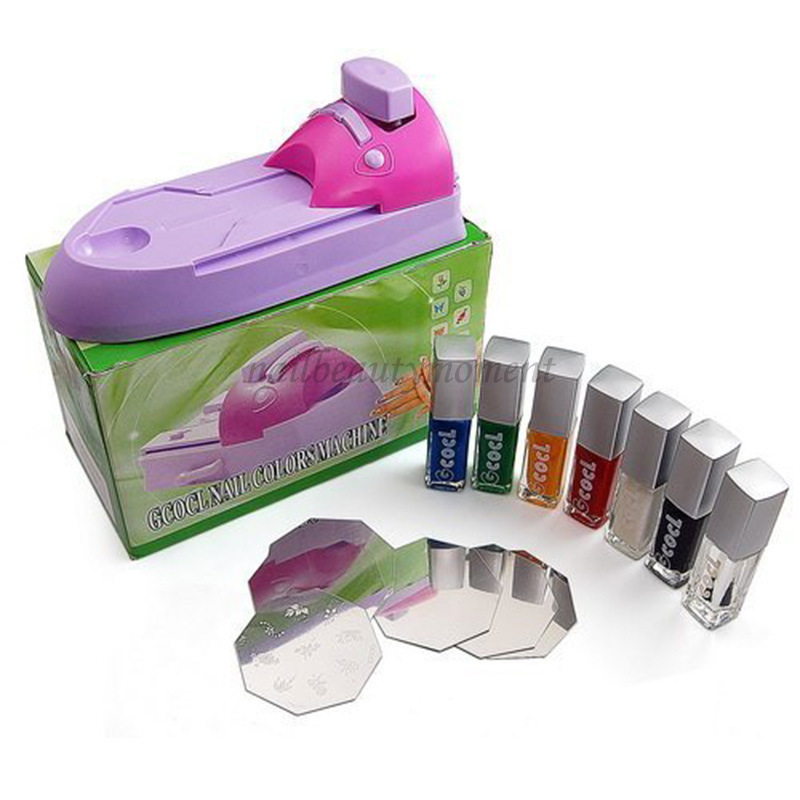 This nail color machine is designed for your to stamp the cute images on your nails. With this machine, you can easily personalize your nails with lovely images, flowers, animals ect and no doubt your nails will look more eye-catching after several seconds' decoration. It comes with a set of nail art paint, there are 7 colors for choice, and you can mix them to create your desired color too. Suitable for your party of fashionable look.